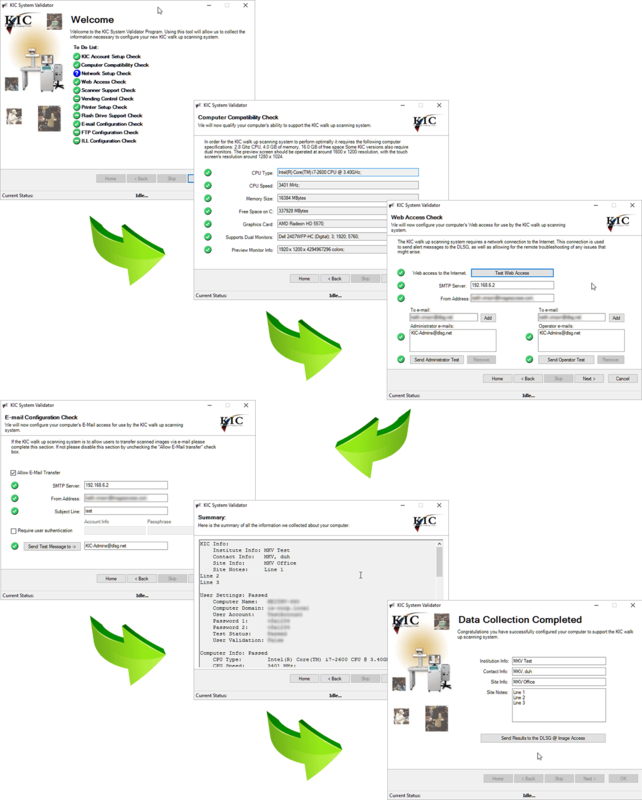 The KIC Validator is a small tool created by the DSLG to test and validate your computer for suitability for use as a KIC workstation. Additionally it will walk you through a series of steps to help you choose the various options available for your KIC system. The program will collect configuration data that will be used to assists the DLSG support personnel as they configure and test your system. As part of its final step the validator will give you the option to transfer the collected information to the DLSG. This information if provided will be used to prepare your KIC System for rapid deployment into your library.